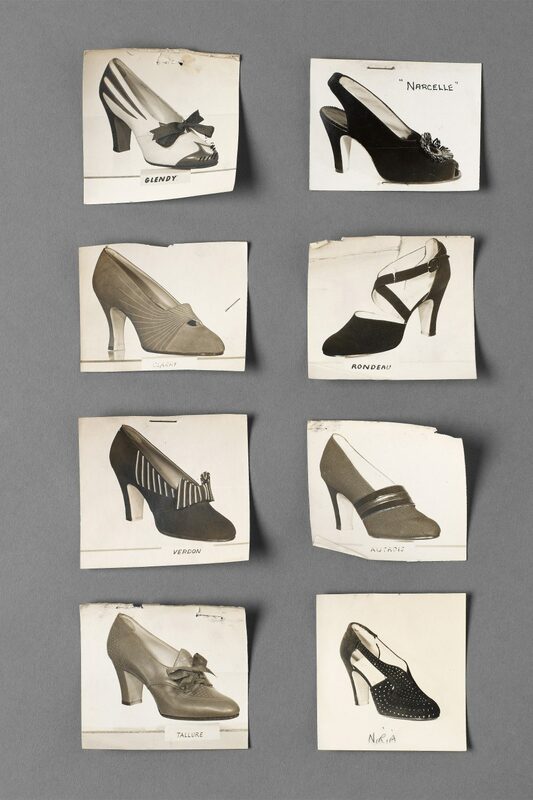 These small photographs are part of a larger collection of several hundred images of shoes sold by H.&M. Rayne. 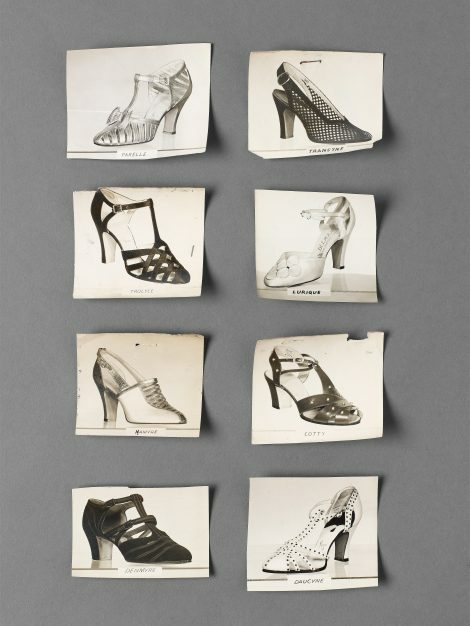 Rayne produced fine quality footwear for the stage from the late 19th century before branching out into the fashionable retail business, with shops in Bond Street and Charing Cross Road established by 1920. Patronised by the Royal Family, the company gained the Royal Warrants of Queen Mary, Queen Elizabeth the Queen Mother, and the present Queen. 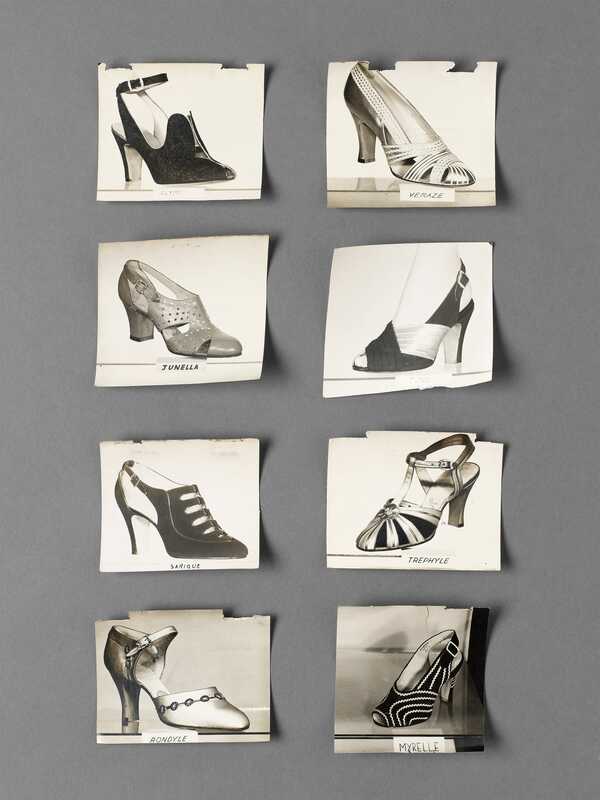 The collection of photographs covers a range of styles – court, lace-up and bar shoes to high-heeled evening sandals, dating from around 1930 to the early 1950s, with a selection from the 1970s. Almost all of them are named. The eight shoes illustrated, together with a further sixteen in Additional Images, date from the early to late 1930s. Their high quality is apparent in their materials, trimmings and workmanship. 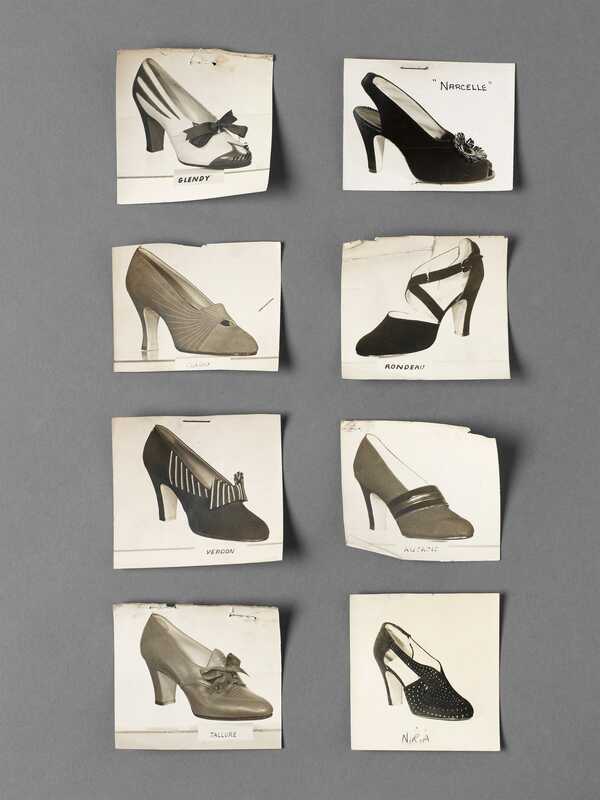 The photographs are very roughly cut, some still with staples at the top, others with indentations where they have been pulled away from stapled fastenings. 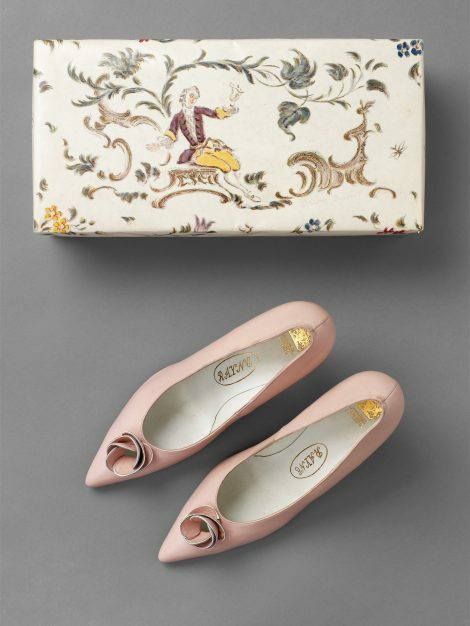 Their purpose is not known, but was clearly practical and behind the scenes, possibly for use in stock rooms, or by travelling representatives of the company.